In 2002 longtime filmmaker and Activist Leigh Blake was so moved by a Kenyan woman’s plight to get AIDS drugs​ for her son that she began to pay for them herself. She had already helped build a clinic in Mombasa, Kenya where many children​ needed this lifesaving medicine but​ it was out of reach because of the staggering cost. After Leigh began funding Brian, her friends were so inspired they began funding other children and families in the clinic and approximately a year later she founded Keep a Child Alive which has since been able to provide AIDS drugs and care to hundreds of thousands of people in Africa.  Leigh is currently focused on a new initiative called Fund a Mom through Arms Around the Child. In India , when widowed or deserted Mothers are left alone to fend for their children without the support of the male head of the family they find it especially hard to survive. Women in the “untouchable” caste face violence and discrimination and are thought to be impure. Human rights abuses against them are legion. Fund a mom will channel the blessings of Moms who can afford to donate $30 a month into lifting women in the slums of India out of extreme poverty. This concept is devised from “universal basic income” which is being studied in various countries as a way to lift people out of extreme poverty. Some organizations like Give Directly are funding whole villages in Africa. Fund a Mom believes that every life is equal and if we can prove that a Mom in India, who is looked upon as the lowest of the low, can thrive through a small monthly gift and determine her own future, then anyone can. Charities these days have become businesses and are often very paternalistic to their beneficiaries. There is the added problem of what happens when aid from the West runs out or is reduced as is happening now under President Trump. People’s security can be pulled out from under them, sometimes to fatal results. Fund a Mom believes in giving monthly stipends unconditionally, letting Moms decide what they need to survive. We will follow and film the results. Women are always better off when they are self determined and can exist closer to their passions and skills. Happiness and security is always a better determinant for success. Also in poor communities when women are empowered they always share their blessings. Most of the Moms we are beginning to fund are disabled, widowed, abandoned or have left abusive husbands and are trying to raise their children alone. Some are begging on the streets. Once we determine the results of this study we will launch it to the world. Mom to Mom. Mum to Mum. Mama to Mama.